The Yobe State Commissioner of Police, Sunmonu Abdulmaliki, has disclosed that security reports have indicated that the leadership of the Islamic Movement in Nigeria (IMN) is planning to relocate the Shiâ€™ite national headquarters to Potiskum town. 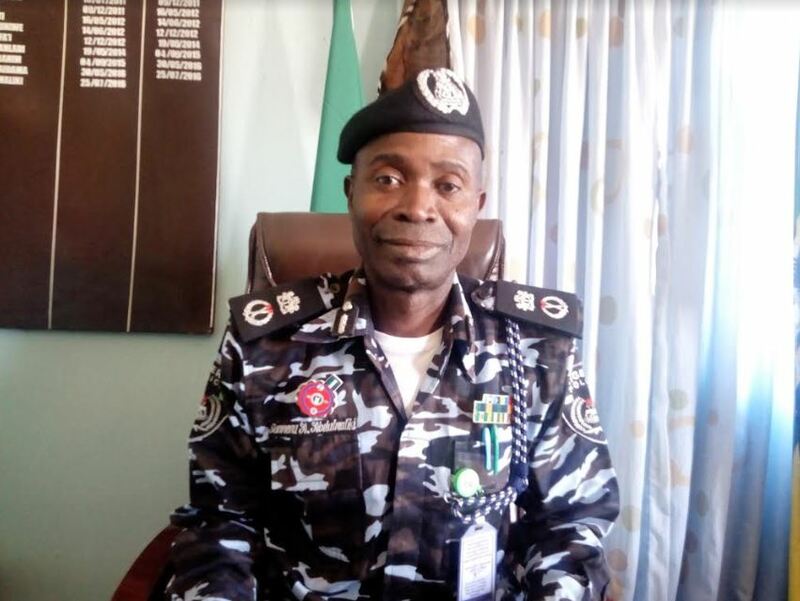 The commissioner made this disclosure in an exclusive interview with DAILY POST in Damaturu on Monday, where he stated that intelligence gathered showed an influx of Shiâ€™a members into the densely populated town. â€œThey are not banned in Yobe state, so we are monitoring their activities and proactively stem what could be a crisis despite the recent clash between members of the sect and operatives of the Joint Task Force (JTF),â€ he revealed. He said it has been observed that the group residing in the state are not Shiâ€™ites per se but they could be called El-Zakzaky group. â€œI must tell you that there is hardly any time they are caught they donâ€™t find drugs with them and arms. I donâ€™t think Islam allows that,â€ he noted. Abdulmaliki stated that the police command in conjunction with other security agencies, especially the State Security Service (SSS), the Military, Civil Defence Corps among others, was able to checkmate the Shiâ€™ites effectively in Potiskum. â€œMy appeal to the Shiite members is to be law abiding, we are for everybody as long as you are law abiding. We monitor them through intelligence we get their dossier and then checkmate them before anything happens,â€ he assured. Abdulmaliki also stressed that the police have a legal and constitutional way of dealing with whoever is performing anything illegally, saying that the command will not hesitate to do exactly as the law stated without falling foul of the laws of the land and trampling on anybodyâ€™s right. â€œWe are in the era of community policing and that we will apply that to the latestâ€, he stated. Recall that on 21st September, 2018, one person was killed with three others injured following a clash between members of the Shiite group and JTF operatives during the Ashura procession in Potiskum town. Potiskum is about 100km away from Damaturu, the Yobe state capital, and itâ€™s the most populated local government area and has a large concentration of Shiâ€™ite members.